Please see also The Aurora Borealis. It seems that NASA has discovered the key to the beautiful displays of the Northern Lights. Using their five Time History of Events and Macroscale Interactions during Substorms (THEMIS) satellites, NASA has found that the lights seem to be a product of a process now known as "magnetic reconnection". The source of this magnetic reconnection is believed to be powerful "storms" in the Earth's magnetic field, approximately a third of the way to the Moon. If this sounds a little far-fetched to you, think of it this way: The combined forces of solar winds and disturbances in the Earth's magnetic fields warp the shape of our magnetic field. Like many things, the Earth's magnetic field wants to resist movement. So the strength of the magnetic field will momentarily overcome the disturbance and the Earth's magnetic field will snap back into place. This is very much like if you were to stretch a rubber band between your fingers and pull it back. Then release it, and it will snap back. When the magnetic field snaps back, it causes a great release of charged particles into the upper atmosphere, where they form the Aurora Borealis. The THEMIS system is comprised not only of the five satellites, but also several ground stations equipped with cameras and magnetometers. Data from both systems is combined to confirm the findings. 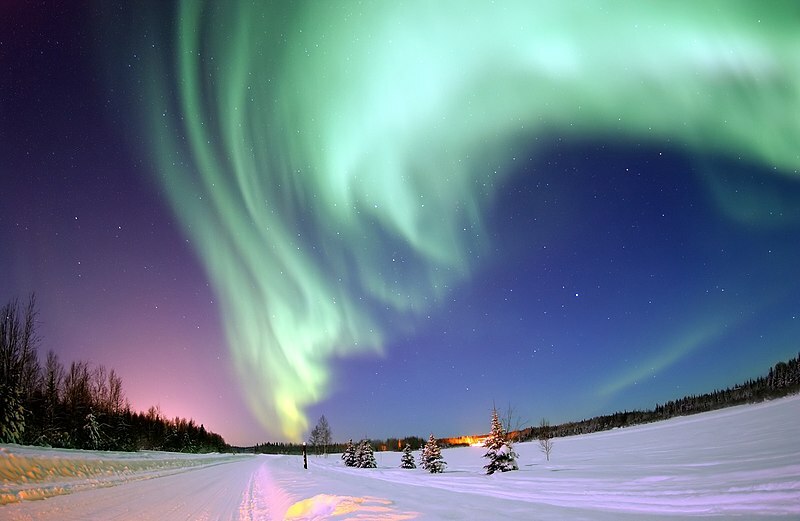 A test run on February 6, 2008 showed definitively that the magnetic storms cause magnetic reconnection and auroras. This test correlated magnetic storm data from the five satellites with visual and magnetic evidence of auroras taken from the ground stations. Now we know exactly why these beautiful displays of light and movement occur.